Going on holiday with a large family or small group? 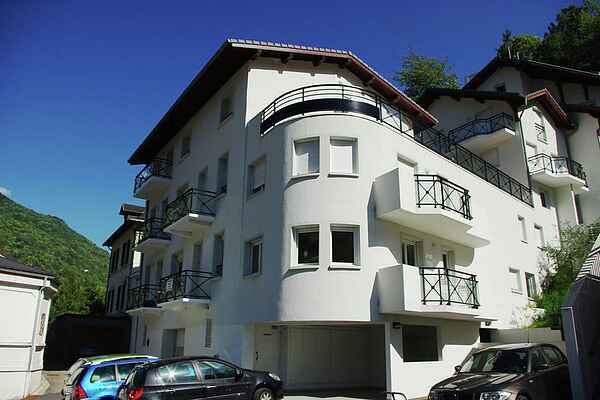 We recommend this lovely apartment for six people on the seventh floor of a larger complex. From the balcony on the east side you have a beautiful view of the valley and the forest. The open kitchen includes a dishwasher, microwave and washing machine. You do not have to spend much time on housework. Because you are here, of course, for skiing! There are two bedrooms and the living room has a sofa bed. Of course there is also a ski locker where your ski equipment on you bergen.De gondola is 100 meters away, the thermal spa and shopping center on the same afstand.Brides-les-Bains is a mid-mountain village with low altitude in the French department of Savoie (Rhône-Alpes). The village, known as Olympic Village during the Winter Olympics in 1992, is popular for its thermal baths. From all over the world people come to this spa for hydro massages and thermal baths. For avid winter sports enthusiasts is a great area. You can take advantage of six hundred kilometers of marked trails, thanks to two hundred ski lifts. In the village you will find include a casino and cinema.